Charles Dunn’s proslavery men left the Sparks home cruelly disappointed. They came to shoot a man and found him still away. That would not mark the end of Stephen Sparks’ trouble with Kansas’ slavery enthusiasts, but he managed to dodge the immediate threat. Reese Brown had less luck. 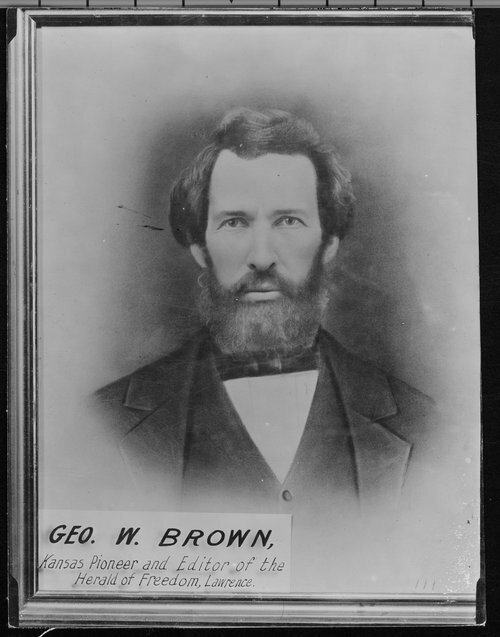 The latest violence came from the free soil elections of January 15, where Kansas’ antislavery voters made Charles Robinson their governor and filled the other offices that the free state constitution had created. This development, like others in Kansas, did not go unmarked on the national stage. As the events within Kansas have dominated our narrative for so long, we have to rewind the clock a bit to catch up with happenings elsewhere. Since the passing of the Kansas-Nebraska Act, the Democracy had taken a beating. The Whig party continued its collapse. In the North, Democrats often followed suit. Those who didn’t cast themselves as foes of the Kansas-Nebraska Act and the trouble it had brought. The anti-immigrant Know-Nothing Party seemed, for a moment, poised to take the Whig’s place as the second party of American politics but had a serious competitor in the form of the new Republican party and its fortunes soon faded. As 1855 wound down, the first session of the 34th Congress opened on December 3. For the first time, Republicans took seats in the Capitol. In the Senate, the Democrats outnumbered them two to one. Just across the building, one might as well have entered a new world. Franklin Pierce could count on a majority of 158 in the last House. The anti-Nebraska opposition now had a majority of 117. That might not have upset the House Democrats too much, as they knew their party’s disarray and probably didn’t have much hope of getting everyone back together and taking the customary whip. The last time that happened, they repealed the Missouri Compromise and eighty-four percent of those who voted for it found themselves in need of other employment. They might do better to find some moderate Republican who they could then blame for the House’s inevitable failure to get much done. 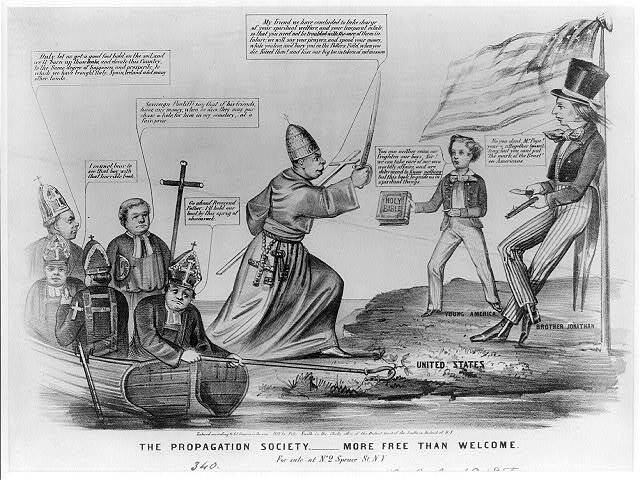 The Pierce administration had other ideas, and ensured that the Democratic caucus passed resolutions declaring the late elections a vindication of the Kansas-Nebraska Act, doubled down on religious freedom in terms offensive to the anti-Catholic, anti-immigrant Know-Nothings, and pledged the Democracy to a hard line on both. The Democrats hadn’t entirely lost their minds. After some early reverses, they took encouraging results in some later elections as signs that they hadn’t entirely destroyed themselves. 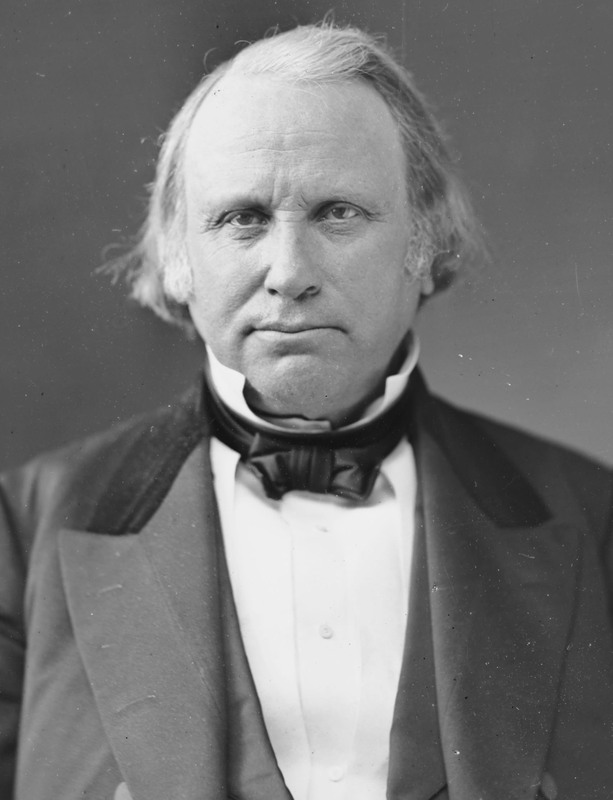 With the same kind of excellent judgment that led them to take elections they largely lost as signs of public approval, the Democrats settled on William A. Richardson, of Illinois, as their man for the Speaker’s chair. 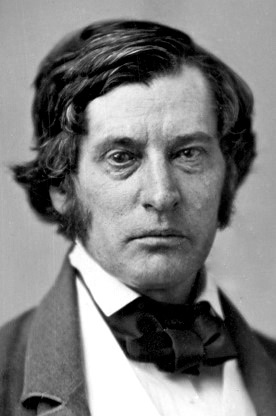 Richardson had managed the passage of the Kansas-Nebraska Act last Congress, which made him exactly as popular with the anti-Nebraska majority as one would expect. 79 Pierce Democrats, of whom 20 were northerners, 117 anti-Nebraska man, all of whom were northerners, 37 Whigs of Americans [Know-Nothings] of proslavery tendencies, all but 3 of whom were from slave states. Of the 117 anti-Nebraska Congressmen, 75 had been elected as know-Nothings. The House membership was roughly classed as 108 Republican, 83 Democratic, and 43 Know-Nothing or American. Though the numbers don’t agree, to the point of using different categories, they tell a similar story. The Democracy had lost its majority to someone, but no one quite knew who. Know-Nothingism and anti-Nebraska sentiment often existed in the same person, part of the problem in classifying them, but they did not necessarily do so. Nor did party allegiance mean that when they did, nativism took precedence. Many Know-Nothings ended up as Republicans, some in suspiciously short order. Some probably joined specifically to subvert the organization in antislavery directions. They co-existed with men who felt otherwise and who had latched on to nativism as the issue to push slavery back out of the national discussion. As the seventeen candidates running against Richardson for the Speakership attest, the Opposition did about as well at agreeing on things as the Democracy did. So long as the Speakership remained vacant, the House couldn’t commence its business. So long as the House couldn’t get to work, much of the national government ground to a halt. Soon much of Washington waited on the outcome. One snowy day in very late 1991 or early 1992, my mother parked the car in the lot down by the river. We got out and walked the half block to a decayed movie palace, now almost unrecognizable after four renovations, for one of the first films written for primarily for adults that I recall seeing on the big screen, Fried Green Tomatoes. One of the scenes therein has the spunky women in the 1930s flashbacks confront a man over his involvement with the Ku Klux Klan. I no longer have a copy of the film to check, but I recall that he denies it. Like any good Klansman, he wore a mask. She pointed to his singular shoe size as evidence of his involvement. Around this time, I read ahead in my history textbook and learned that the Klan adopted its odd rituals and unique dress sense to frighten “superstitous” freedpeople. For many years, I did not put the things together. I didn’t think much about the Klan, except as a generic group of villains. My textbook didn’t dwell on what they did to actually scare people, only that they did. In 1999, I took my one class on the Civil War, where the teacher went a bit beyond the syllabus to inform us that the freedpeople could see that Klansmen left bodies broken on the ground or hanging from trees. Their horses made the same marks on the ground as any others, not ectoplasm-filled depressions. Probably most of their victims knew, or could make a pretty good guess, as to just which of their white neighbors stood behind the mask. You don’t hear much from the Klan proper, these days. It has gone over the past handful of decades from a respectable (to whites) organization of white men bent on defending that most sacred and inviolate of American traditions, white supremacy, from the foreign influences of equality, immigration, and integration to a national laughingstock and whipping boy. If white-robed masses once marched on Washington, now when they gather the police appear to protect them from the much larger counter-demonstrations. The familiar hoods and robes come mainly from the Klan of the 1920s rather than the Reconstruction Klan, but both used masks when they felt necessary. The theatricality served its purposes, then and now. I suspect most of us remember the Klan, when we think about it at all, as a collection of truly vile human beings known for their odd rituals. We know that they opposed the Civil Rights movement and have a record going back to Reconstruction. We might imagine them as violent, but mainly they have these ridiculous costumes. They offer up to us the kind of evil we most like, the sort from the cliche western where every villain declares himself with a black hat and optional kicked puppy. The Invisible Empire announced itself as something clear and distinct, an evil imagined as a country one could go out and conquer or an army to destroy. It even has the kindness to come down to us as a spent and dead force, around which we can do an unearned victory lap. This memory, so far as it goes, has more historical evidence to support it than many. The Klan did have silly costumes. When one delves deeper into the subject, the violence takes center stage. Together or separately, they can do what stories of martial valor and romantic, nineteenth century manhood do to the memory of the Civil War and distract one from the reason for the whole affair. The Klan did not congeal out of some abstract desire to do evil by their own lights any more than any other group does. They had a politics, just as the original members had had when they signed up for their Confederate uniforms. Though I’ve called them Klan politics for purposes of illustration and brevity, the Klan did not invent them. That honor probably belongs to largely unknown Europeans in the early Chesapeake who discovered, to their delight, their own whiteness and its lack in others. Whatever the name, its practitioners acted in conscious pursuit of that politics, however random and anarchic their campaign of terror might seem from our remove. Black Americans could not live free; they would make sure of it. The Klan, as an organization, has seen better days. Its politics have taken a beating too, but not nearly so much as we would like to think. Klan politics had a very good November this year. The Syrian refugees gave my governor, many others, presidential candidates, and congressmen a chance to put join the Invisible Empire. Few demurred. Syrians, as they share part of an address and part of a religion with ISIS/ISIL/Daesh/those murderous fanatics, must embody terrorism to the last particle of their beings. While not African, Klan politics construe the Syrian as similarly other and thus an abomination. In the Twenties, the Slav and the Catholic played the same part. Hatred of the other in the United States probably must roll downhill to the nation’s most conspicuous other, Americans of dark skin. Even as nineteenth century Americans imagined the Irish as white, if a dramatically inferior sort of white, their racial theories and stereotyping linked them to black Americans. Scholars crafting races measured skulls and affirmed the Irish more apelike, much closer to African than the pure stock variously imagined as Anglo-Saxon, Teutonic, Caucasian, and in later generations Aryan. Thus it made perfect sense to want them controlled, limited, and ideally out of the country. Irish-Americans soon learned the best way to burnish their white credentials: hatred of black Americans. Solidarity with the victim made you a victim, a race traitor, miscegenationist, or other slur of the day. Solidarity with the white supremacist made you part of the club, at least if you worked hard enough at it for long enough. The classic form of Klan politics remains, of course. To give that up would surrender the entire edifice and leave one open to charges that one should give up the many pleasures of the centuries spent looting lives. Here too, November proved a banner month. A group of Black Lives Matter activists protested outside a police precinct in Minneapolis. Their concern, as usual, involved the police shooting of an unarmed black person, Jamar Clark. For this crime, three white supremacists arrived at the protest and shot five protesters. Since then, others have cruised by brandishing firearms and racial slurs. The perpetrators, unsurprisingly, had the usual sort of interests and affiliations. They even wore masks. One cannot, short of bringing out the white robes, burning cross, and rope, better embody Klan politics. On twitter, Trump later decided he doesn’t condone violence. Maybe Trump likes to see and sign off on attacks personally, which he could do in Mercutio Southall’s case. Trump’s actual response involved segregating the media away from his crowds, which calls to mind how the Chicago Police killed Laquan McDonald. McDonald, running from police, went into a Burger King. There he died, with his killer pumping plenty of extra bullets into the body. This all took place last year, but it took until just now for him to face charges. In the interim, we have learned that the Chicago PD destroyed evidence and intimidated witnesses to protect one of its own. They surely regretted the lack of masks at the time, and endeavored to don them retroactively. I suspect that I could fill a post with events like these most every month. The particulars would change; we shall not always have Donald Trump to give voice to our national hatreds. But we have done these things for a very long time and show little to no inclination to stop. Instead we take each as a carefully isolated event. None constitute a program. None tell us much about the nation. None of them have a politics. They just happen, no more to do with us than the wind and rain. We cast ourselves not as purposeful agents participant in a culture, but as the perpetually innocent and bewildered. Even people with clear white supremacist ties shooting black protesters, or even just ordinary people in church, doesn’t seem like an act of terrorism, though such behavior comes as routinely in our history as elections. And why would it? Terrorists do things we disagree with. We respect the masks their Klan politics wear. We must, as we wear the same ourselves. To reveal them reveals us. I have used the first person plural through this and began with a personal story, because I must include myself. The most deadly act of terrorism on American soil took place in 1995. A skinny white guy, in conjunction with another and probably some others that the FBI didn’t find enough evidence on, parked a truck full of fertilizer and gasoline next to the Alfred P. Murrah Federal Building in Oklahoma City. It exploded, as he planned, and killed 168 people. On hearing this, the day of the attack, I consulted the roll of media stereotypes in my head and assumed we would watch a band of Muslim men with beards. I did as told; as I had been trained for all my fourteen years. I too wore the mask. We don’t have to keep wearing it. Federick Douglass used to introduce himself to crowds as the possessor of stolen goods; he stole his body. He had little choice in the matter; we insisted. We imagine we have little choice in the matter, but we also insist upon that. Most of us will never make history. We live ordinary, boring lives. Given the sort of excitement that features in notable lives, you can’t really blame anyone for taking a pass on historical fame. Maybe even all together we couldn’t turn this thing around, take off the mask, and do any better than we have. Maybe even if we did, we have arranged things too well to ever fix. We do things every day that we cannot undo. We also do things which we say we cannot undo because we do not want them undone. We put on the mask to hide things we don’t want seen. Once slavery seemed permanent too, impossible and even inconceivable to end. Now few of us make excuses for it. The mask works for wearer too. George Washington Brown had a great deal to say about Patrick Laughlin in the pages of the November 17 Herald of Freedom. 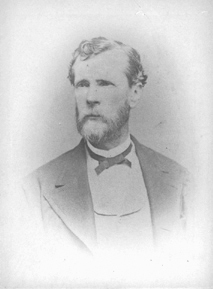 He published a report of Samuel Collins’ death at Laughlin’s hands, but gave over a considerable portion of the issue to related matters. Under the headline “Pat Laughlin’s Exposure”, Brown laid into Laughlin’s original article in the St. Joseph Cycle. He introduces it as the work of “a son of Erin, calling himself Pat Laughlin”. Pat stands before the country, according to his own showing, as a “perjurer before heaven, a traitor to his country, subject to the scorn of all men, the frown of devils, and utter abandonment of God,” else a falsifier and libeler, and wholly unworthy of credit the best way he can fix it. The oath did include those words, so Laughlin could hardly complain that Brown treated him unfairly. Laughlin had to either lie in exposing the Kansas Legion or have made himself a liar in swearing his oath. Either way, Brown could fairly claim that Laughlin indicted himself. Who should believe such a man? If Pat’s statements were true, the Free State men of Kansas are thoroughly organize don a military base, and are well qualified to resist the usurpations of the “border ruffians.” If they believe the tale they will not dare, as they value their lives, to send another marauding expedition into the interior of the Territory. We give it as our private opinion that there is something on which to base the story; that it is not wholly a fabrication; though we are suspicious that much of it arises from the fertile imagination of this worthy son of Erin, else from that of his amanuensis. Brown did a great job of having it both ways. Laughlin invented everything, he insisted. However, even if he hadn’t, Laughlin made himself a liar so he should not be trusted. But if one did trust Laughlin, then he hinted to his readers that the free state men did have an armed organization. Maybe it didn’t match Laughlin’s account, but if it did then Missouri men should stay clear for their own safety. And even if it fell short, who could say how far short? Small bands of border ruffians might just find themselves with a nasty surprise all the same. Brown concluded with a gratuitous dig at Laughlin. An Irish immigrant might not speak English. Many in the nineteenth century came from the western reaches of the island where the language had not quite come to dominate yet. But Laughlin had lived in the country for years and interacted successfully enough with anglophones. Failing that, Laughlin must have had an amanuensis, who wrote under his name. Here Brown reversed the usual complaint proslavery men made of slave narratives. Some better-educated person had written, presumably inventing along the way, on behalf of the slave. Everyone knew they couldn’t produce such work on their own. It would go well beyond the facts to say that the Irish had it as bad as slaves, or that they served as slaves (PDF), but nineteenth century Americans proved versatile enough to express their prejudices similarly from time to time.